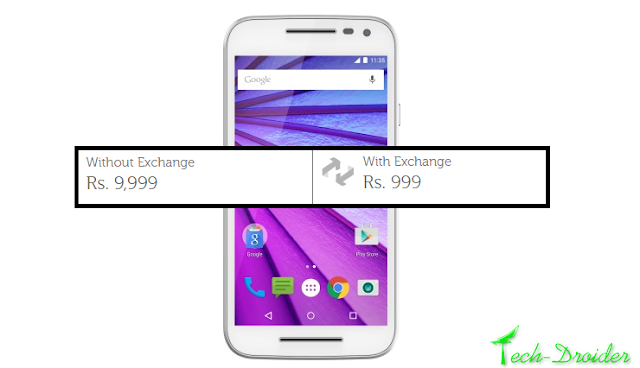 Motorola Moto G 3rd generation is now available at just Rs. 999/- after exchange on Flipkart.com . Moto G 3rd generation comes with a 5 inch HD display , 13 MP Primary Camera 5 MP Secondary Camera , 2470 mAh Long Lasting Battery and IPX7 Water Resistance technology .